It is a custom-built unit in an SKB transportable rack case with VHF, UHF, and HF ruggedized radios installed. 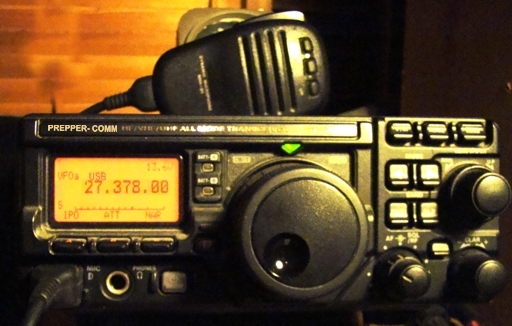 These radios are interconnected with an interface providing audio, PTT, remote control, field phone, and POTS telco autopatch. Various antennas are deployable with it. The antenna shown is a wideband portable VHF/UHF LPDA beam. The photo was taken near a desert BOL. Please email me the details of model, construction, etc. on that interface and antenna. How about info on this set up? 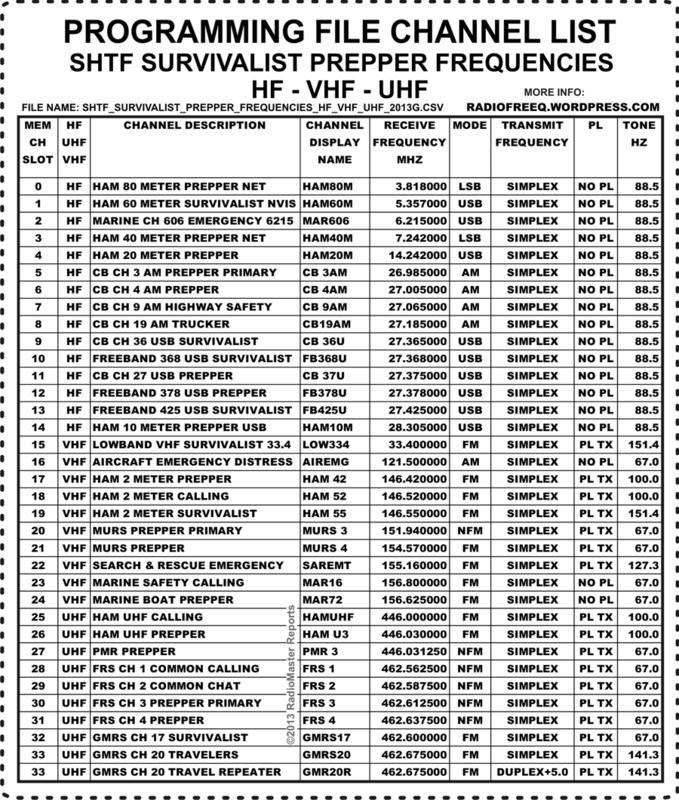 A new programming file for the SHTF Survivalist Radio Frequency List has been added. The file is compatible with Chirp and other programming software. It is available for free download. What mod would allow Tx on these “outside” channels? Is this what people call the Mars/Cap mod? General coverage transmit mod. Freq Mod. Frequency mod. Often known as a MARS/CAP mod. What do you use to create your shtf sheets? I like the design and layout but I’d like to add a few things local to us. Here’s the method we use for RadioMaster Reports. The process isn’t simple but it produces desired results of high quality. 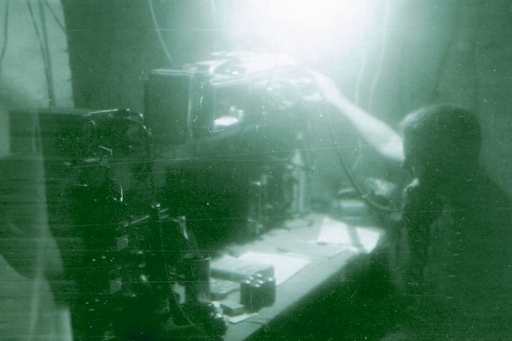 Radio frequencies start as handwritten notes, gathered over the years from various sources, correspondence, communicating on the air, monitoring and other methods (which won’t be described here). Periodically, these are added to lists in text files with notes. Text files (*.txt) are then edited in Notepad++, and imported/copy/pasted into Excel and manually formatted (labels, columns, rows) for Chirp import compatibility. Chirp CSV files have a certain number of data fields and labels on each line. From Excel, CSV files (*.csv) are exported. A CSV (Comma Separated Value) file is basically just a text file where each field or entry of the text or data has commas, line feeds, spaces, tabs, or other characters as delimiters. CSV files can be opened/read by spreadsheet or database programs and radio programming software. 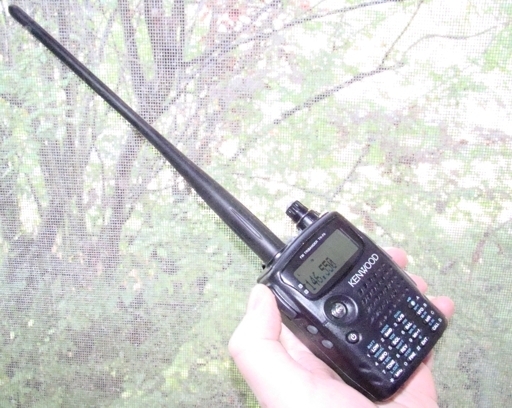 I have to say the PRC-25 is a low power VHF radio that puts out only about 3 Watts on a good day and they are heavy when compared to civilian radios. You’re better off with Non-Surplus radios that are Non-Military. Thanks for the article. I’m new to amateur radio, and I’m constantly amazed at how it can be customized to nearly any use or need. What a cool hobby! 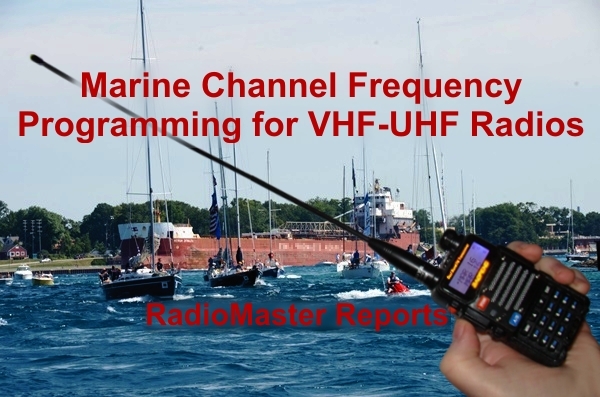 You mentioned a PL of 151.4 on the FM frequencies. 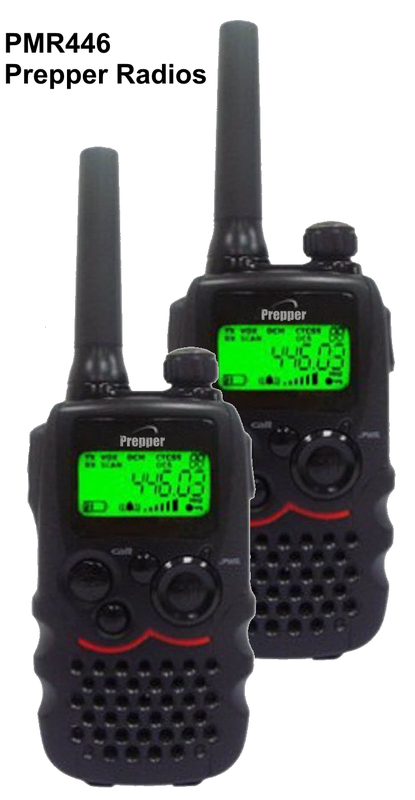 I’m assuming that you mean this is the CTCSS that preppers/survivalists use on those channels. Have I understood that properly? If so, does this apply to all the FM frequencies you’ve listed? 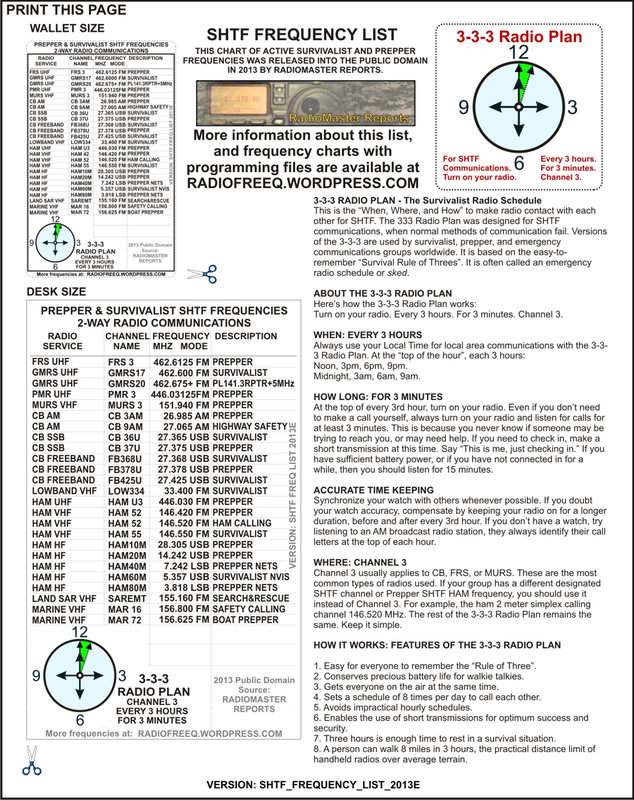 On FM, the use of transmit PL tone 151.4 Hz is intended to be for situations where you are communicating with mil radios having Tone Squelch (older military surplus “green” radios). 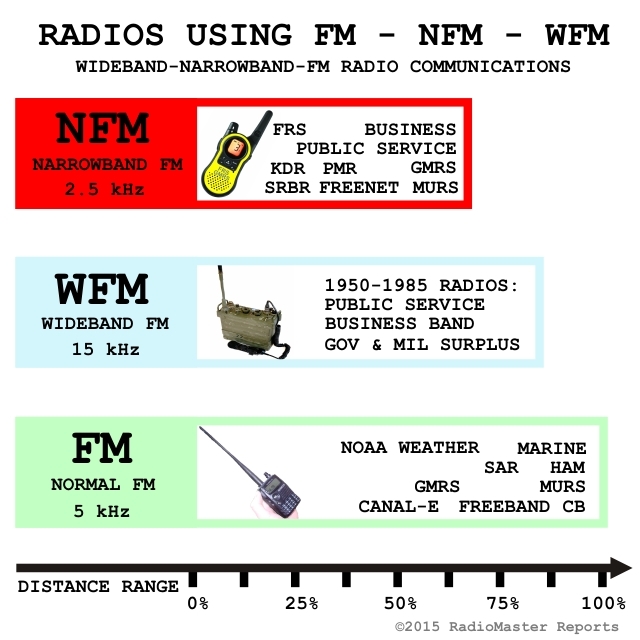 It does not apply to all the FM frequencies, ham, FRS, GMRS, etc. 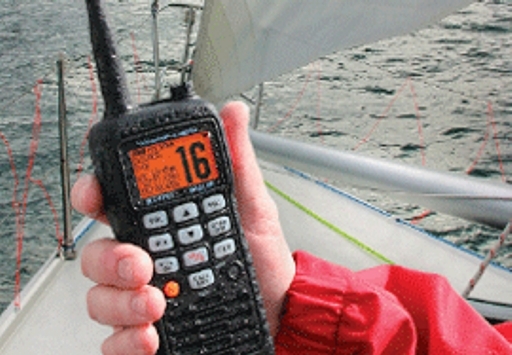 or channels of various types of services and FM 2-way radios. PL tones (CTCSS) for repeaters are various frequencies, dependent upon local settings and the repeater owner preference. There is no standard ham PL tone frequency. The most common PL tone for GMRS repeaters is 141.3 Hz. The most common PL tone for FRS and GMRS simplex is 67.0 Hz. The receive setting should be normal carrier squelch (no PL tone). Good article. Thanks for taking the time to write this. 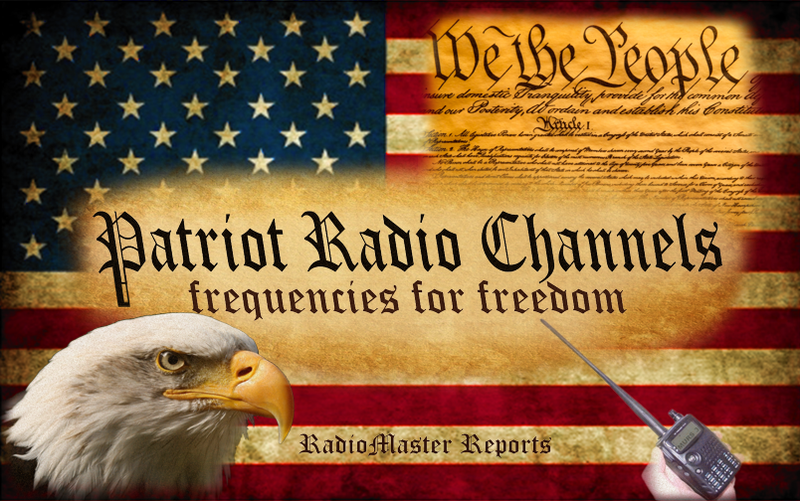 I’m the Net Manager for the Colorado Connection Repeater System Preparedness Net, on Saturday mornings, 10am local mountain time. I’ll be sure to mention this article on an upcoming net. This was a great read! Using Chirp has made programming a lot easier for me. 146.550 is the national storm spotter SKYWARN frequency. 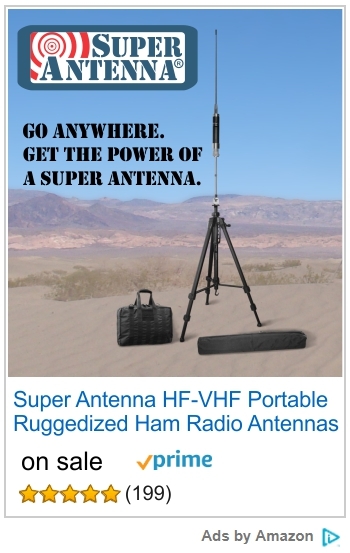 Bad idea to thing that just because shtf, you are free to operate any radio you want on any frequency you want. Many of us who have licenses won’t appreciate unlicensed individuals operating on frequencies that we had to take tests to gets licenses to operate on. Amateur radio is already struggling with its share of bad operators, many of them being of that “operate where-ever you like” mentality already. 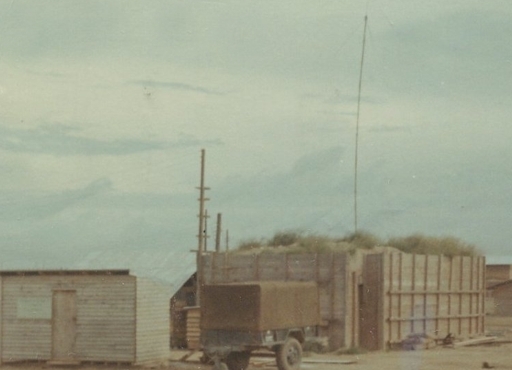 Simple truth of the matter is that when shtf, you will want to have coordinated communications. 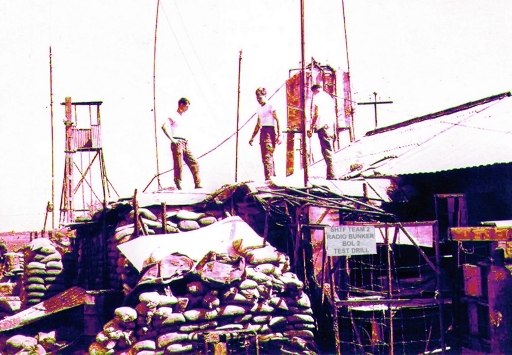 Amateur radio operators regularly participate in coordinated repeater and simplex nets, just to practice proper operating practices just for emergency preparedness purposes. The last thing that any of us want is to have a sudden influx of unlicensed individuals flooding the ham bands and not cooperating with any established emergency communications nets that may already be in progress. I have had many situations in which I’ve been monitoring an emergency traffic net, only to get some guy with a modified CB and no license interfering with the emergency traffic net, and even threatening net control. Such operators are unwanted and only cause strife. Get the license and learn proper operating procedures. In an shtf situation, you will find that having gotten a license and learning to operate in a proper manner is going to carry more weight than just burning up bandwidth because you think it no longer matters. Also, there is a reason ham radio operators regularly participate in radio location events known as “fox hunting”. 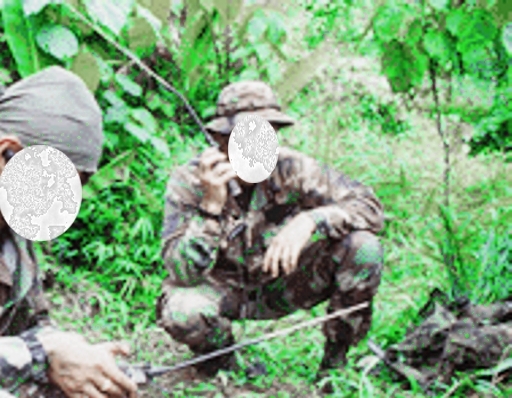 We regularly triangulate and report location of unauthorized operators, including fellow hams operating outside of band privileges. Yes, we are very protective of our frequency allocations, we’ve lost too many of them to commercial interests over the years, and have only managed to get a scant few back. I’m glad someone said it. So many of these people waiting for the end of the world are running out and buy cheap Chinese gear that they don’t know how to use and hy jack our frequencies simply because they have zero respect for others. I’ve been a ham since the mid 80s and I’ve seen so many of these people pop up over the past few years. Down the page KC8ZSQ (who says he a cop on QRZ) actually say he supports unlicensed operators to use someone else’s active call when illegally on the air. None of this would have flown a few years ago. I found this site looking over HF frequencies. All these SHTF people are the primary reason the S has in fact started hitting the fan… because people lIke this have no respect for others. Some of us have cheap Chinese gear AND are licensed. While I fully agree that unlicensed users are an issue, your constant yammering about cheap radios is uncalled for. They work, they are legal, and allow for people of limited means the ability to advance their radio communication and technical skills. You may recall reading something about that last part. hi, great article! Thanks for all the SHTF frequency information. I’m a survivalist from upstate New York. Thanx for some new freqs we were not monitoring b4. In addition to many Skywarn groups using 146.55 simplex, also understand that in many areas of the country hams are still using 146.54 and 146.56 simplex. “If” you are out in some backwoods area trying to work each other on 146.55, you may get hammered by much stronger base station users from either 146.54, 146.55 (if Skywarn is active on that frequency in your area), or 146.56 simplex. Of course if you identify (with an active callsign), most hams will go out of their way to accommodate QRP signals from 4W handheld radios. “If” you aren’t licensed, however, expect that hams will eventually find your location, so it had better be a true end of the world event, or the monetary fines can be quite high. Great point. “If” you’re not licensed then always find an active callsign to use when operating in the ham bands. Roger, “great point”… REALLY! as a so called law enforcement officer youre saying you would recommend someone using someone elses (which is a form of identity theft) call to illegally transmit on ham bands. Would it be okay for someone with no really experience, training, knowledge or care for the codes and laws to get on the air using your call? You should be ashamed of yourself as an amateur radio operator and a so called LEO. GREAT JOB AT UP HOLDING LAW AND ORDER. 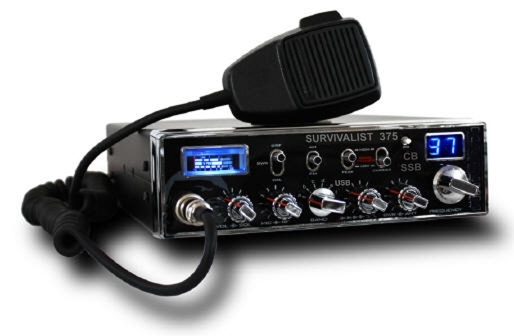 Anyone can transmit from ham equipment during and emergency, and not have to lie about a call sign. But if someone wants to use ham bands and gear they should really go take the tests, get the licenses and real experience. If one cant pass a simple Tech test and pay the $15 fee then that person should really weigh out their priorities in life. But regarding your comment that, “Anyone can transmit from ham equipment during and [sic] emergency”, where did you find that in Title 47 of the CFR? I know it’s often stated, but I can’t locate it in the regs – can you point me to the appropriate part, subpart, and section? Here in Europe we use the range 6.400 Mhz to 6990 Mhz.